Can a fans’ trust really work? 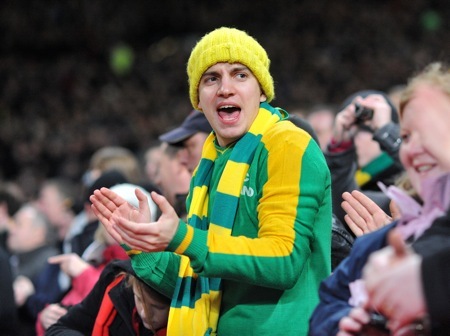 When the Glazer family launched their formal takeover bid of Manchester United in the summer of 2005, I was probably in the small minority (or, if in the majority, the silent one – but then again, it’s always been difficult to publicly express one’s support for a status quo) who thought the takeover might not have been a terrible thing. As a Commerce student at the time, I was being heavily briefed on investment practices and, in my business-y frame of mind, and figured that although the transition would mean United (then debt-free) being loaded up with a roundabout £500m in debt – small change, you know yourself… – that nobody would put a business through such a financial mill if they didn’t think the business could adequately cope with the strain. In hindsight I still stand by that logic. Nobody – not even an Irish banker intent on spending billions on a floundering Irish bank – puts money into an enterprise if they don’t think they’ll be able to get their investment back, with more. After all, that’s what profit is: the reward for taking a risk. That’s not to say I didn’t understand and share the fears that MUST and the soon-to-be F.C. United brigade. The club was debt-free and had built its modern empire – a top-class stadium; an era of incomparable dominance in English football, the ability to confidently and consistently break transfer records to get the players we needed, and others we didn’t – upon the fact that its monetary situation was so resilient and dependable. Good investment and solid management breeds more money, which if managed correctly keeps the cycle going. First of all, apologies for my apparent absence from the world for the last couple of days – between Comm Day stuff hitting full swing and a website that needed doing, the DramSoc Swing Ball on Friday night (which was great), being at the glorious rugby game on Saturday (Allez les verts! Now let’s not let this Grand Slam talk get too out of hand…) and two issues of the University Observer to get online – as well as blogs to set up for some of their contributors, it’s been a manically busy couple of days. So sorry for not blogging, and to the few commenters from the last post on third-level fees, I’ll get back to you shortly, I swear. But no matter how far away from the world-at-large you can run, some things you just can’t escape. Today – getting back on the rungs of college life – we put on Morning Ireland to wake us up and ease us into the world outside of the house. We might as well not have bothered. First news – banking. Second news – unemployment. Third news – unemployment. Fourth news – banking. Main feature – how Wexford is faring in the economic climate. Christ. Whatever. We get it. Ireland is fucked. Fine. Let’s get on with it! I understand that people are losing their jobs, and it’s shocking and regrettable and sad but it’s been like that for a few months now. Anglo Irish was nationalised. Fine. That happened a month ago. Why is it still in the news? The country was frustrated before today that people were losing jobs, having pension levies, seeing education funding cut, and all of that, before it came today. People are short of money at the moment – the people already know that. They don’t need Morning Ireland to tell them when the world is getting better – they’ll know themselves when they can afford the odd mild luxury again. An honest question to anyone: isn’t there a serious market right now for a news outlet that sidesteps financial news completely? This F**k The Recession lark might catch on, you know.